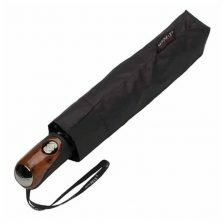 This Ezpeleta Large Folding Automatic Black Umbrella with Wood Crook Handle is a 2 section Metro style umbrella. 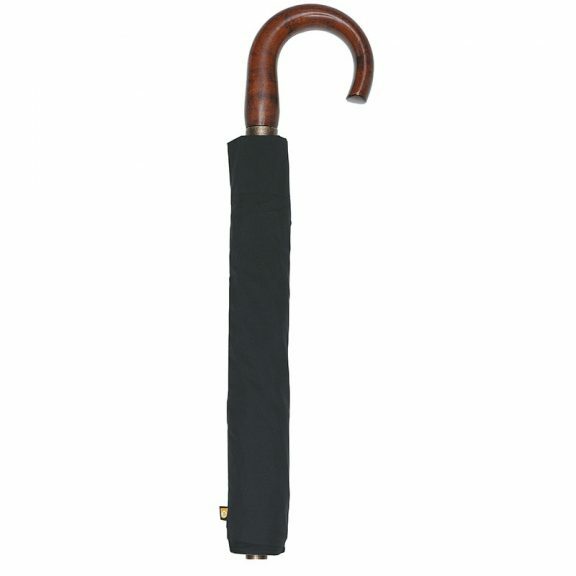 A hybrid umbrella, neither full length nor a compact. 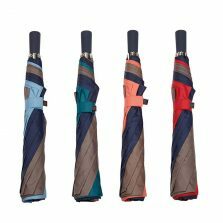 Keep it in your travel bag, your brief case or in your car’s door compartment perhaps. The wooden curved handle is strong and solid. 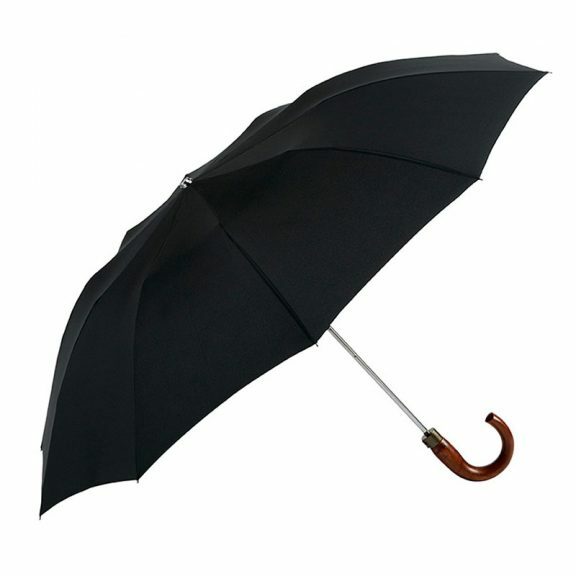 In fact there’s something particularly sturdy about this whole umbrella. It has a chromed recessed push button integrated at the base of the handle. 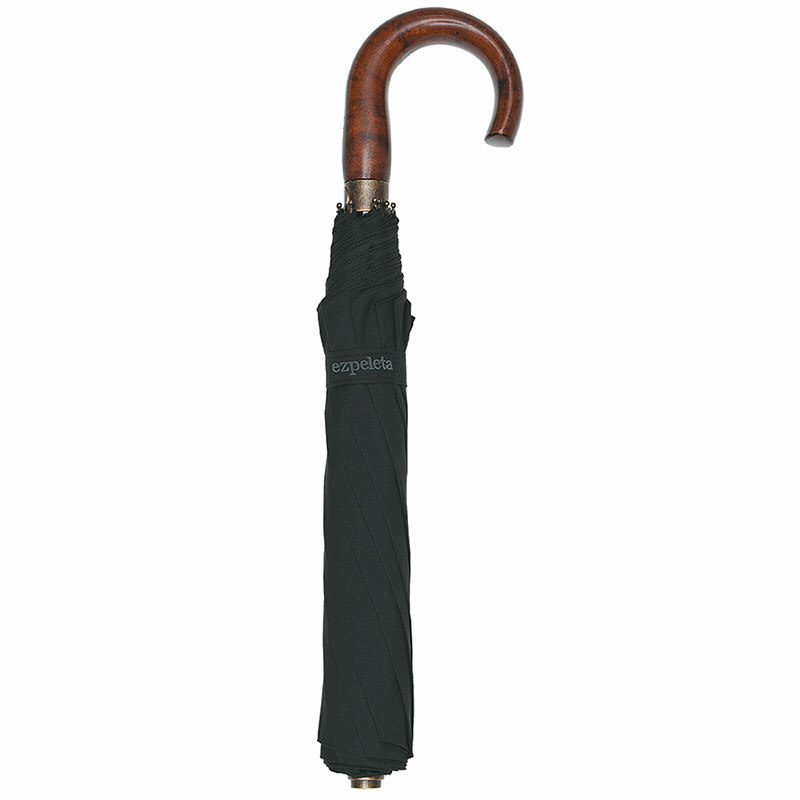 And coordinated chromed steel shaft, frame, tip and even the “e” (for Ezpeleta) designer branded press stud fastener on the tie wrap. It also comes with a smart matching black protective sleeve. 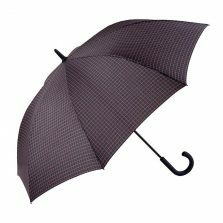 This is a good chunky, solid brolly, It’s not a lightweight umbrella by any means. In fact it’s reassuringly weighty. 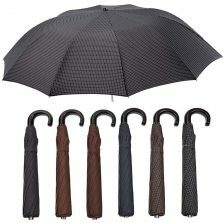 An umbrella to love and cherish. Treat yourself or buy one as a gift for a friend or loved one.